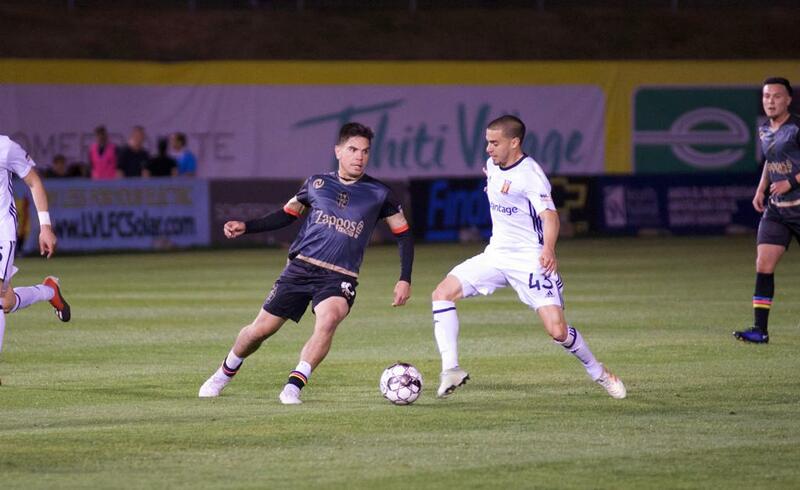 Las Vegas defeats Real Monarchs SLC 1-0 on Lights FC's first Salute to Golden Knights game; AlexNyarko Harlley scores off of Irvin Parra's corner kick, Thomas Olsen's second clean sheet in 2019 seals Lights FC's win. LAS VEGAS, NV - Hard work pays off. 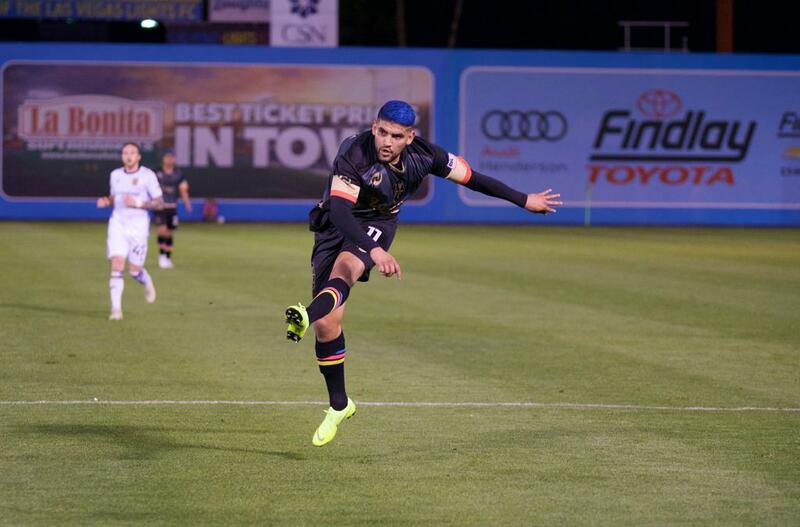 The first regular season win of the Eric Wynalda era in Lights FC arrived Saturday night at Cashman Field with his team defeating Real Monarchs SLC 1-0. A packed Cashman Field hosted 9,102 fans for the first ever Salute to the Vegas Golden Knights Game, where Lights FC donned VGK inspired jerseys. Patience was something preached in team practices all week long as Las Vegas knew Real Monarchs arrived to the match with the best defensive team in USL Championship, which hadn't allowed a goal in their last 189 minutes of play. In the first half, Lights FC was clinical in the final third by forcing Real Monarchs goalkeeper David Ochoa to save his goal in 4 shots targeted his way. In total, Las Vegas struck the ball 9 times in the first 45 minutes of play, but the only time they put the ball in the back of the net it was called off by the referee as he indicated the ball was out of the field before Irvin Parra's cross found Alex Harlley in the box for a header that made the fans in Cashman Field celebrate until they saw the referee blow the whistle and invalidate the score. That formula though would prove to be effective as only 4 minutes into the second half Parra executed a corner kick to perfection, finding Harlley in the 6-yard box who buried it past Ochoa to give Lights FC their first lead in the 2019 campaign in what ended up being the game-winning goal for Vegas. "Normal circumstances, I go for the second goal. But because we're sitting at a spot where we needed the points, I shut it down at the end and we put enough bodies behind the ball and it worked to get out of there 1-0", said Lights FC manager Eric Wynalda after he conceded the possession of the ball to the visiting side who tried to tie the game, but Las Vegas' back line was solid with Thomas Olsen leading the charge and center-backs Javan Torre and Gabe Robinson clearing high crosses by Real Monarchs. Lights FC out-shot their fourth opponent in a row, but this time it paid off as Las Vegas obtained their first win of the 2019 season. "For us it was very important to get the 3 points, to get out of the cellar", said Wynalda who earned his first win as a coach in the USL Championship. "We could've had more goals, that's the good news. The bad news is that we haven't scored in the run of play, but I believe in this team and I'm proud of them because that was a tough game". Vegas Born and Bishop Gorman grad Thomas Olsen hasn't allowed a goal at Cashman Field this season, getting his second clean sheet of the year. "Everyone was working super hard, that's what you need in this league to get wins", said Olsen. "I'm super happy for the guys, happy to get this one out of the way and keep going". AlexNyarko Harlley has quickly become a fan favorite in Las Vegas and with performances like the one he had on Saturday, the Togo native nicknamed 'Acapulco' will remain a key piece for Eric Wynalda's side. "We have to protect our house and whatever team comes here, we're not going to make it easy for them", said Harlley. "We still have a lot to prove in this league, some people want to see us fail. But at the end of the day, Eric (Wynalda) brought us here for a reason, he believes in us and we have to keep fighting every day". 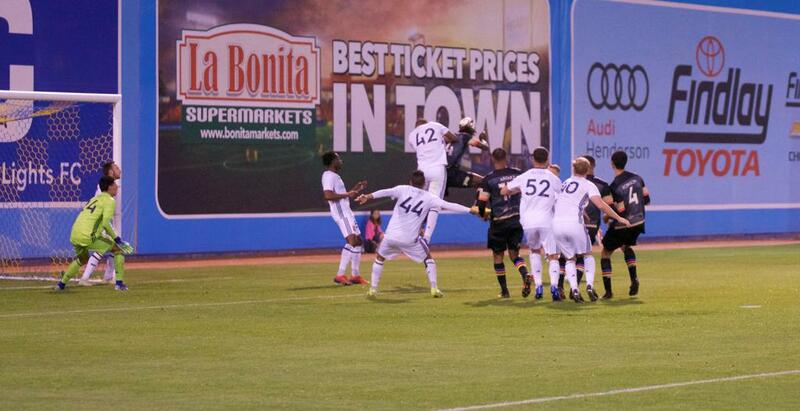 All of Lights FC's goals in 2019 have arrived with headers off of set-pieces, with this one by Alex Harlley being the game winner for Las Vegas against Real Monarchs SLC. After getting the win against Real Monarchs SLC as a +335 underdog, now Las Vegas goes back on the road to face a win-less San Antonio FC side who has lost their last 3 matches and is currently tied for last place in USL Championship's Western Conference. The game will be played on Saturday, April 6 at 5:30 p.m. 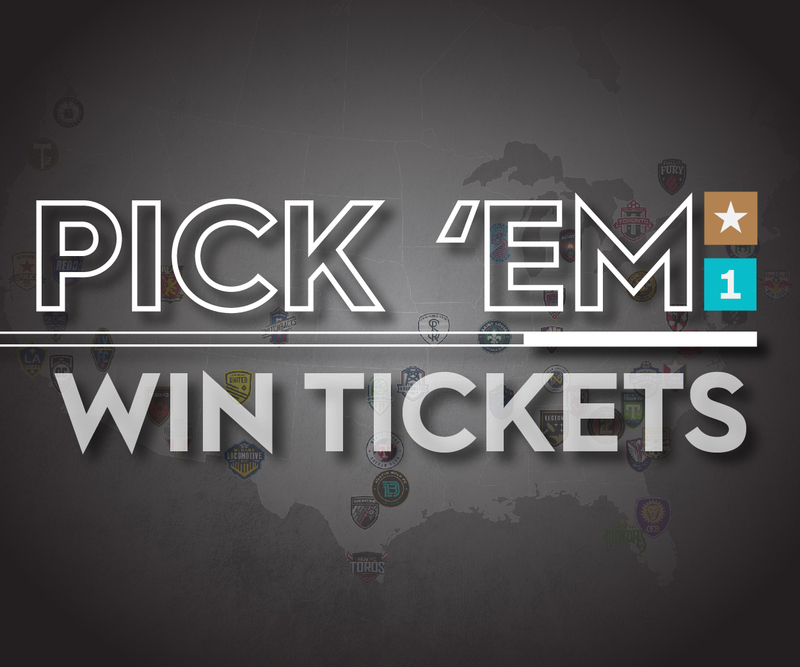 Lights FC's next home match will be on April 13, when they face Tacoma Defiance at 7:30 p.m. Tickets for this game and all Lights FC 2019 regular season home matches can be purchased at LightsFC.com/Tix or at any La Bonita Supermarket in Las Vegas.